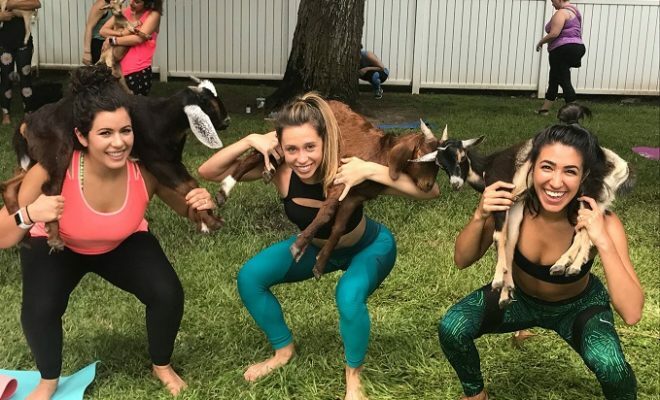 Goat Yoga is the newest trend popping up in cities across the nation and has made its way to Texas. 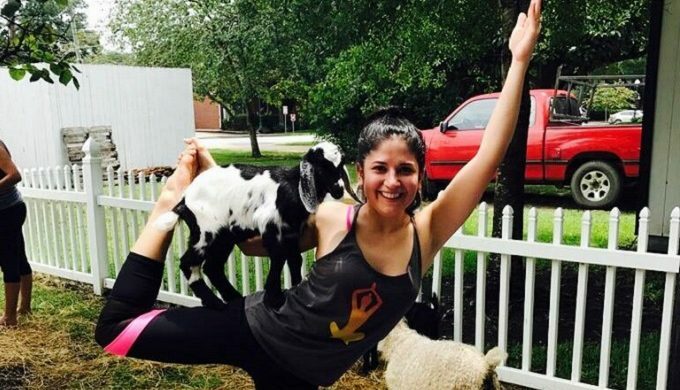 Welcome to the “first and premiere goat yoga class in the Houston area,” shares its website. With a class of about 30 students and 20 goat classmates roaming around, this is definitely one for the bucket list to try! Enter this unique setting and connect with nature as the goats wander around snuggling up and adding that extra touch to make your yoga all the more memorable. Yoga, in general, is a great discipline to connect mentally, spiritually, and be in tune with oneself while practicing various styles and poses. 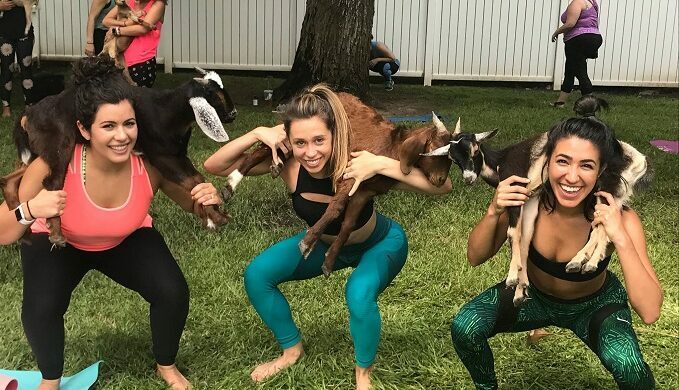 Goat Yoga kicks it up a notch by adding a touch of nature for you to connect with as the goats roam the area bringing their own kind of energy to your space as you meditate. “See how a soft touch from goat or two, is just the extra push you need in your practice,” shares its website. The class is designed for beginners, but everyone is welcome to take in what could possibly be the best yoga class you will ever experience. “All teachers are at minimum 200hr certified by Yoga Alliance and insured,” states its site.